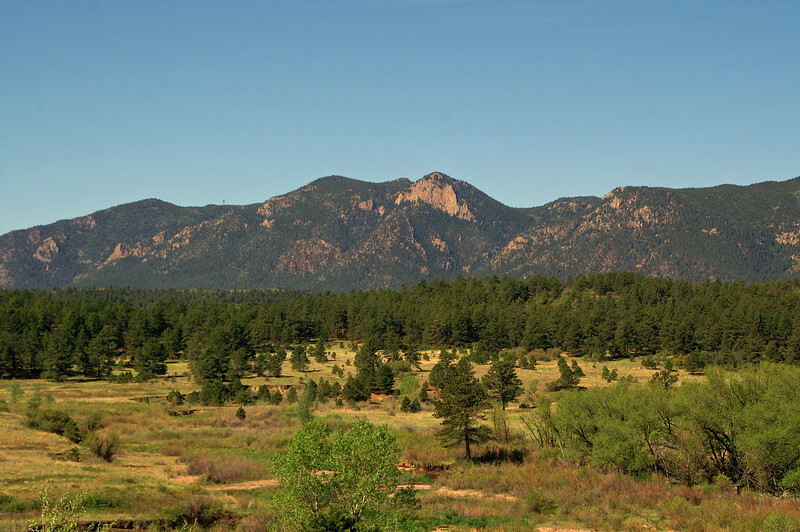 Mount Herman as seen from the Monument, CO trailhead. 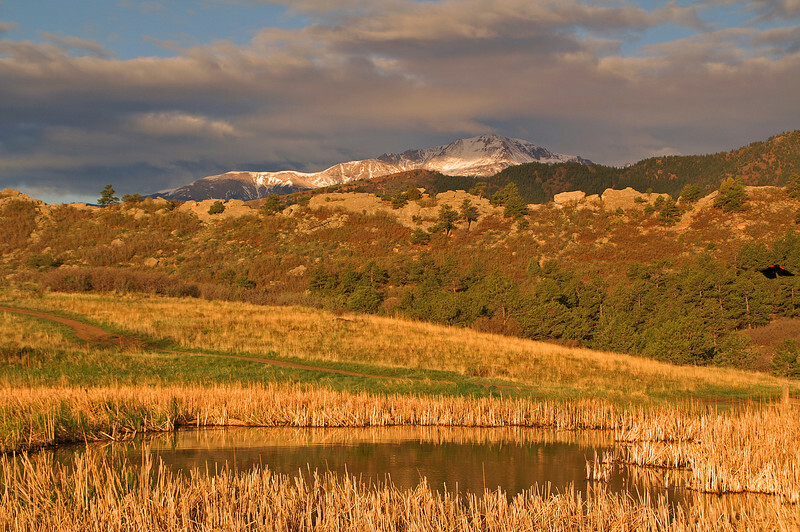 Colorado's front range offers the photographer many photo opportunities. 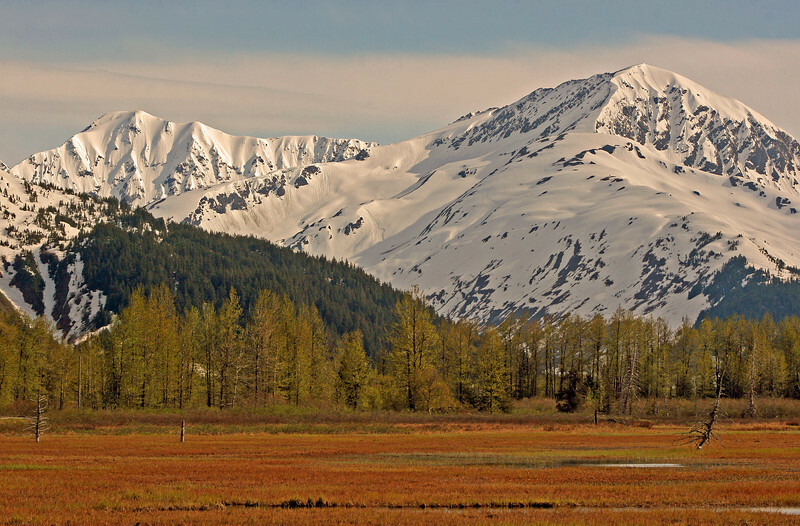 It is the end of May in Alaska and the mountains are still covered with plenty of the white stuff. In fact this area is still prone to avalanches. Looking southeast towards Spencer. 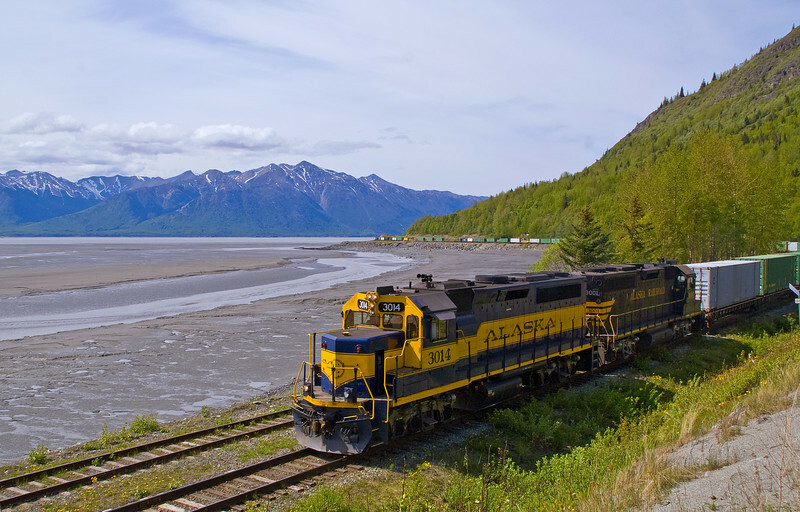 We look up the Portage Valley in the far distance is Portage Glacier and in the middle distance is a cruise train headed for Anchorage, AK and points north. 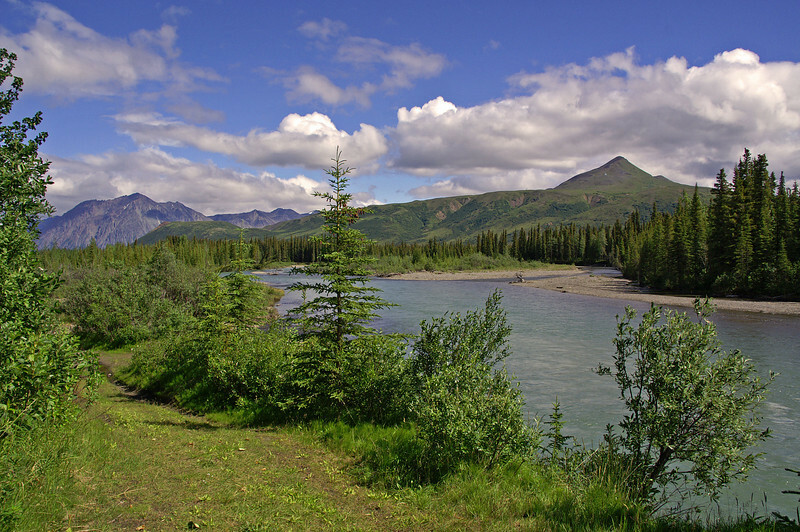 Cantwell is a beautiful small town in Alaska north of Anchorage and south of Denali. 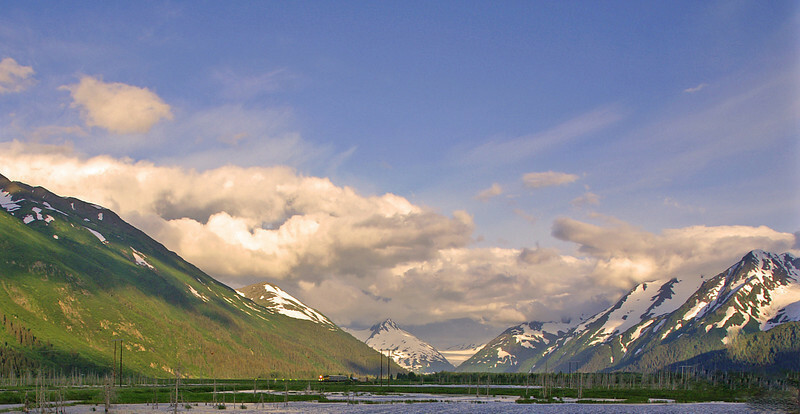 Looking north from Portage, AK. 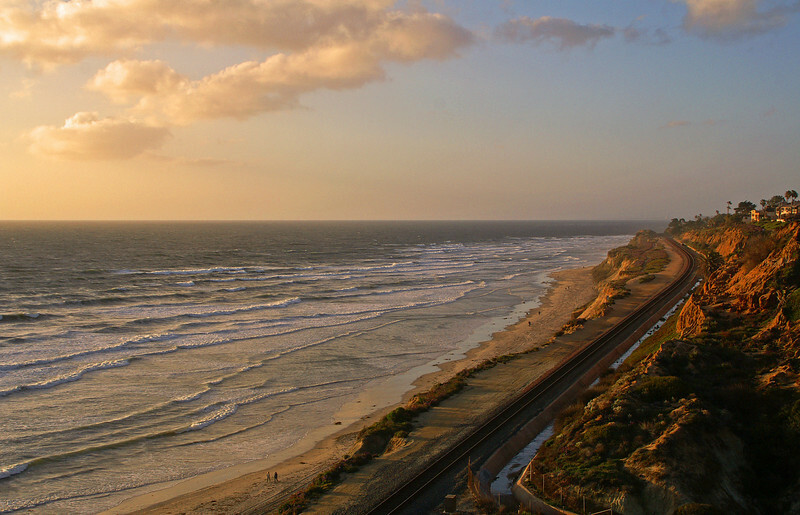 The ocean to mountain scenery is fantastic. 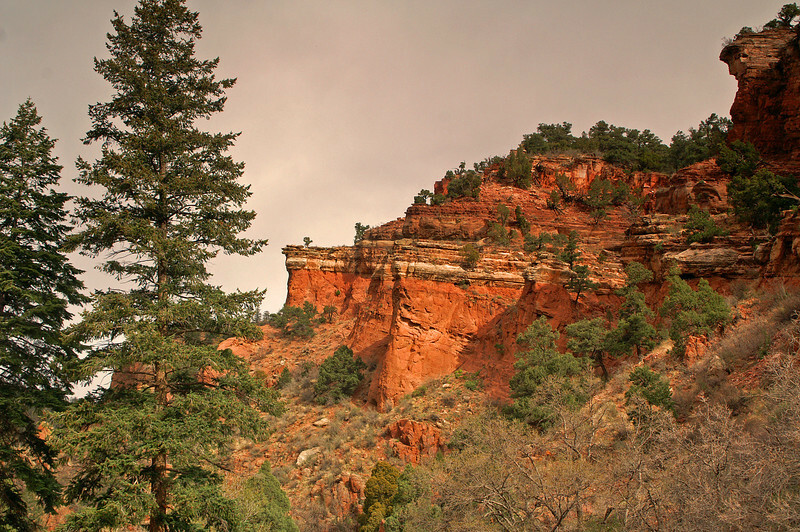 While the weather wasn't the best a hike through Queens Canyon in Northwest Colorado Springs yielded this interesting view. 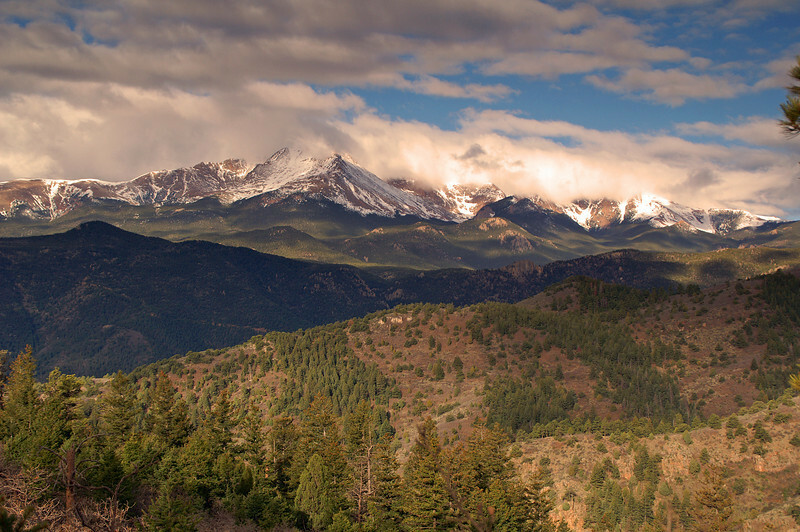 Pikes Peak as seen from Rampart Range Road in the Pike National Forest. daily photopikes peakpike national forestcoloradolandscaperampart range. Pikes Peak as seen from my back yard on a beautiful spring morning at first light. 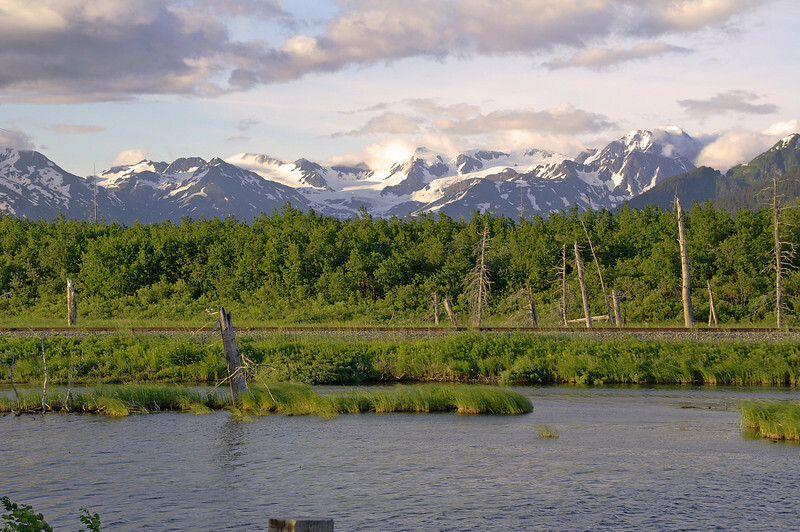 The weather in Alaska is very unpredictable. 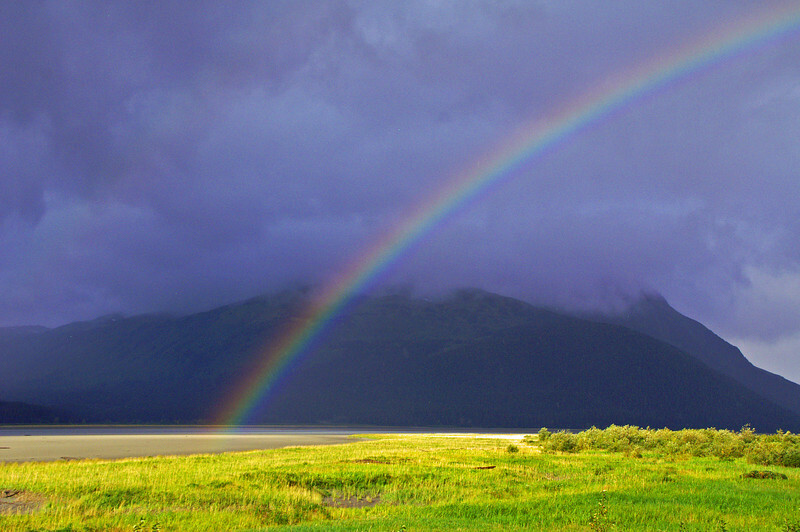 What started as a beautiful morning was followed by a tremendous thunderstorm and then this rainbow appeared over Turnagain Arm and the Kenai Peninsula. 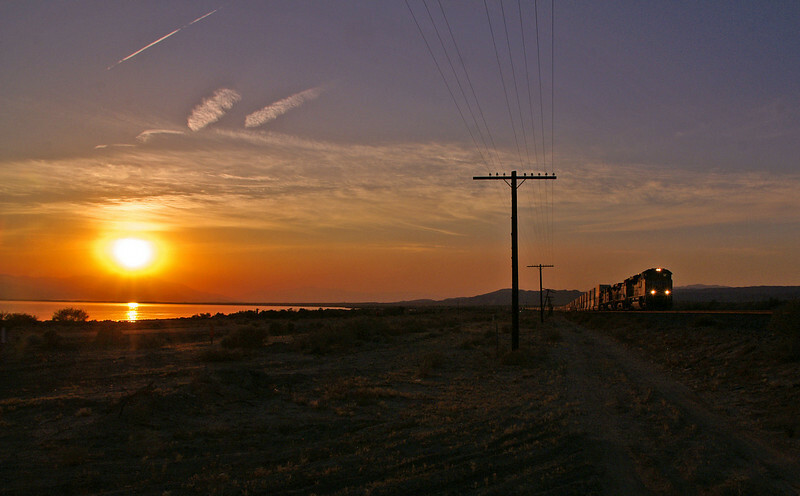 The sun sets on the Salton Sea as another train heads east with Asian commerce bound for eastern markets. 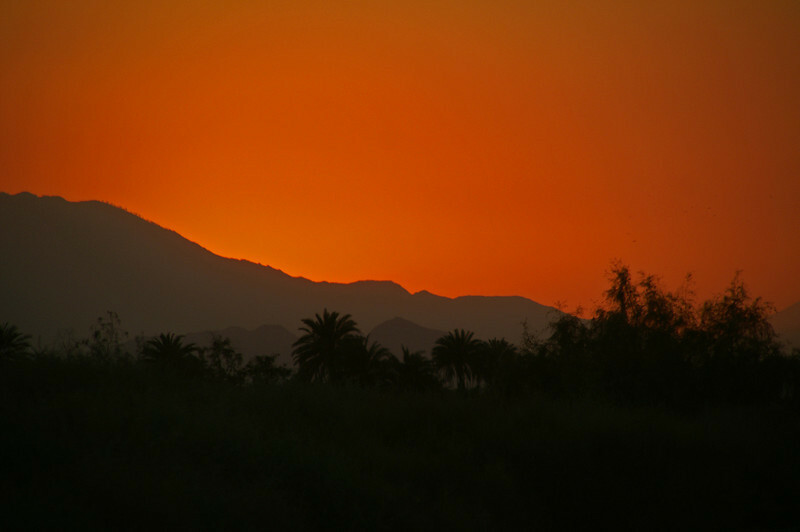 A spectacular sunset on what was an incredibly hot day in the Southern California desert near Indio. 122 degrees makes me glad I live in Colorado. 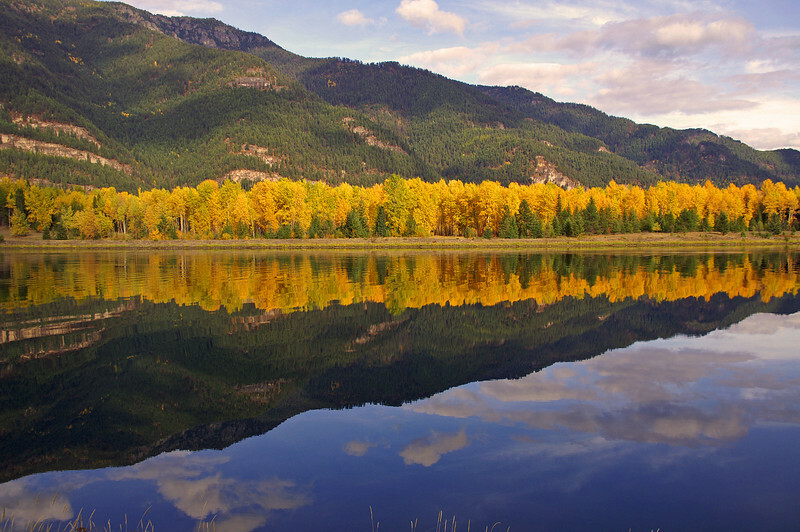 The valley along the Clark Fork River in Montana is a spectacular place to take photographs. 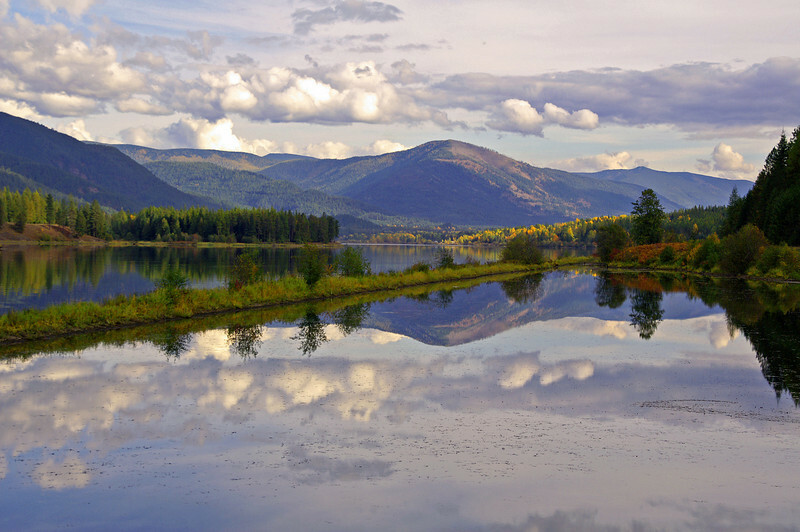 This view was taken near Noxon, Montana. 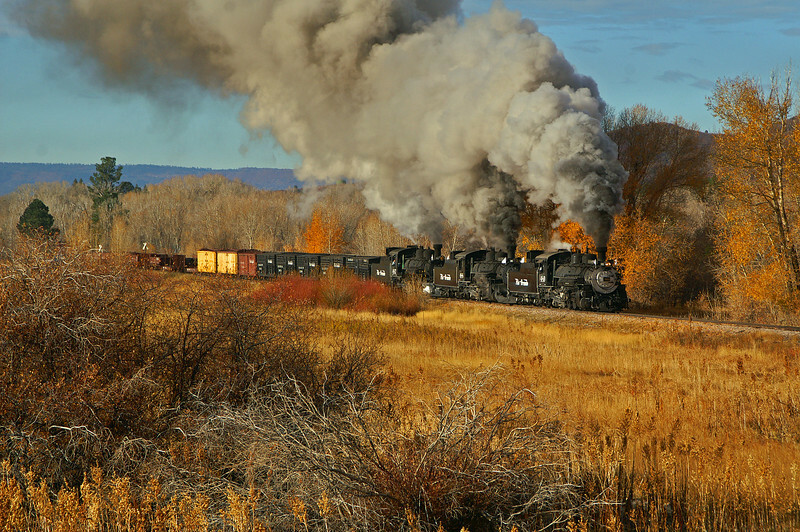 A rare treat for the railroad photographer, three steam engines on one freight train seen leaving Chama, NM on a beautiful morning. 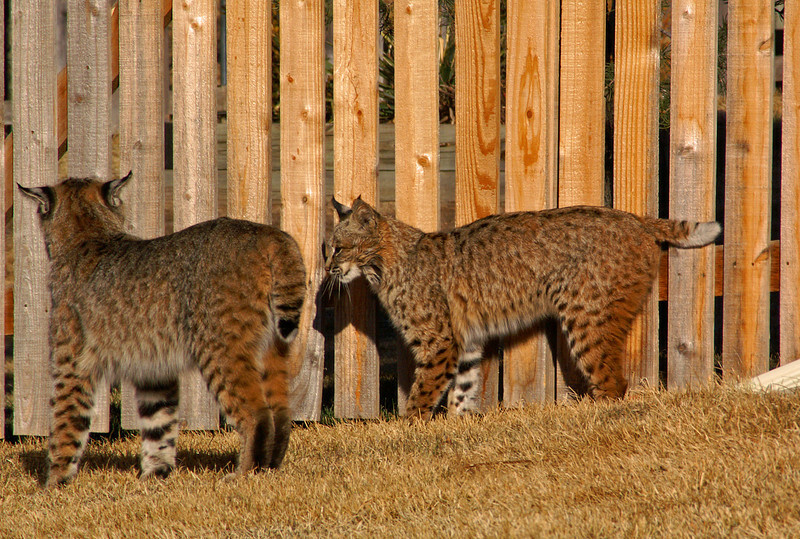 Living in Colorado has some benefits, I was fortunate to find these two Bobcats in my front yard one morning. It was a good way to spend a couple of hours behind the camera. 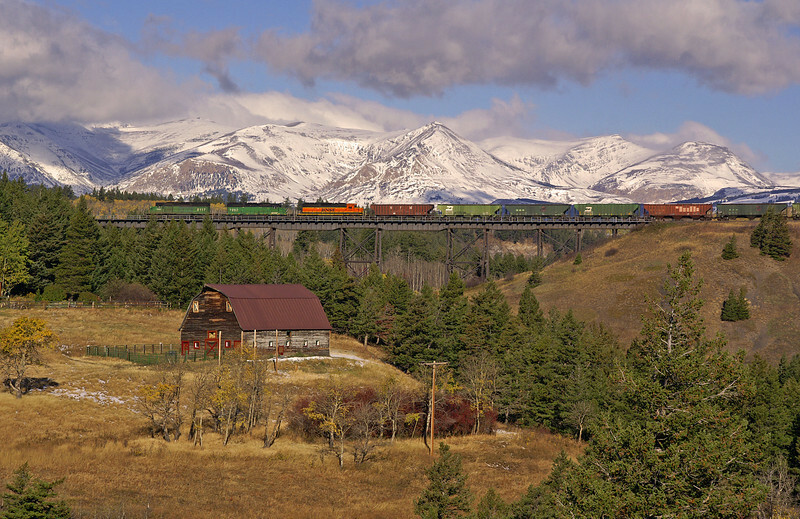 A BNSF grain train crosses Two Medicine Bridge as the viewer looks into Glacier National Park. 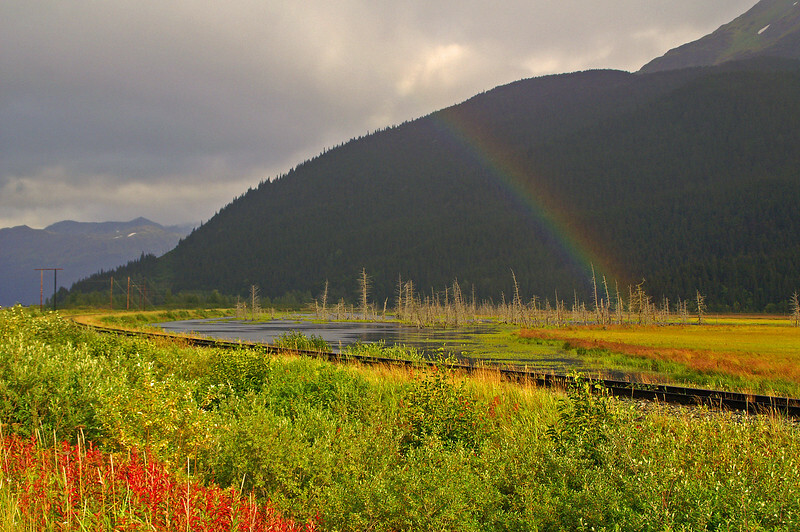 After a severe thunderstorm the sun pops out and a rainbow appears above the tracks near Portage, AK. 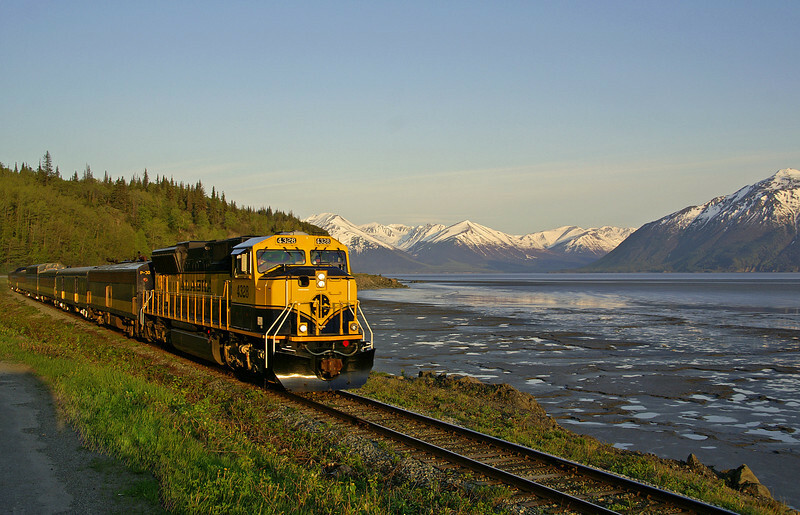 One of my photography passions is trains, especially steam trains. 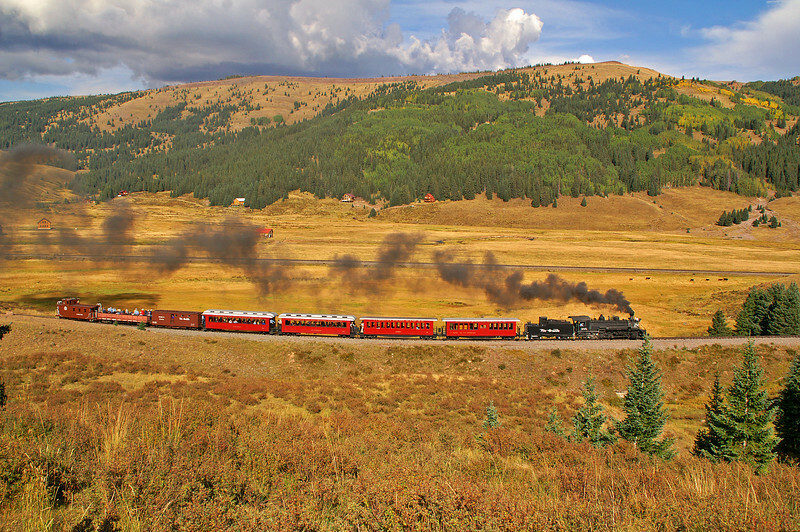 Colorado is fortunate to have a few steam railroads in very photogenic locations. Rio Grande 488 is seen here at Los Pinos. 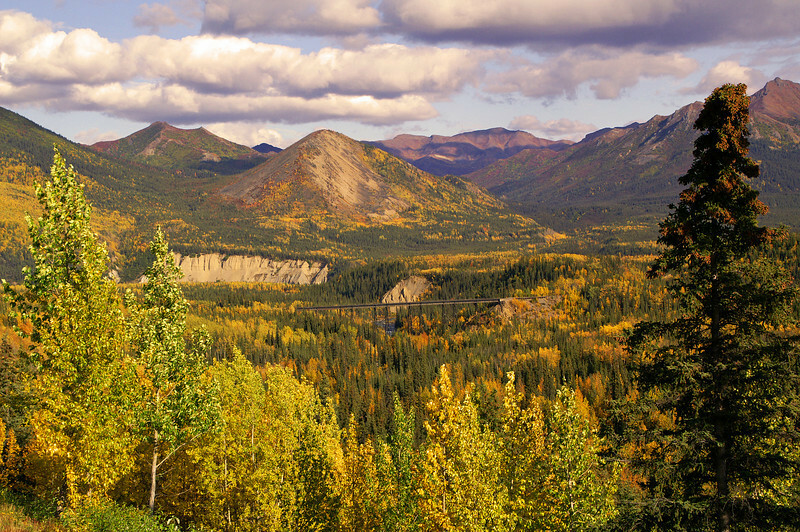 From the shoulder of Denali Park Road is a fantastic view of the mountains and Riley Creek. 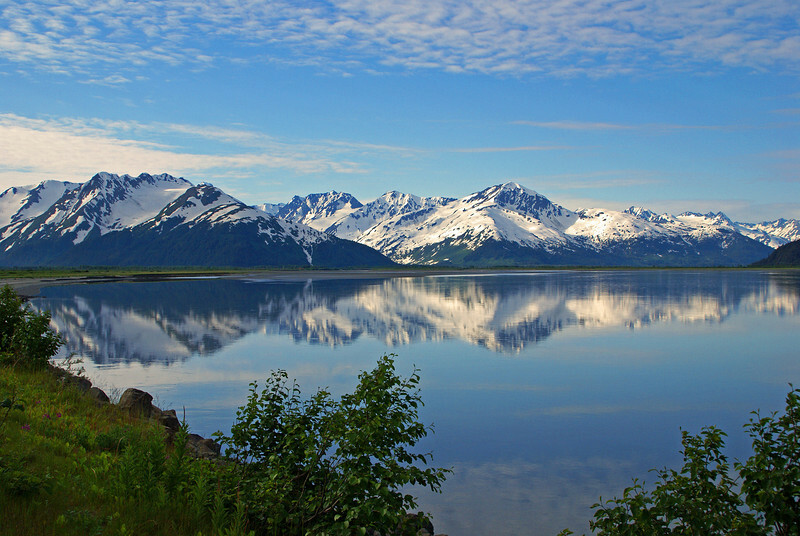 It is not often that one can get a reflection in the ocean but sometimes it is possible along Turnagain Arm near Portage, Alaska. Along the Clark Fork River at Noxon, Montana. 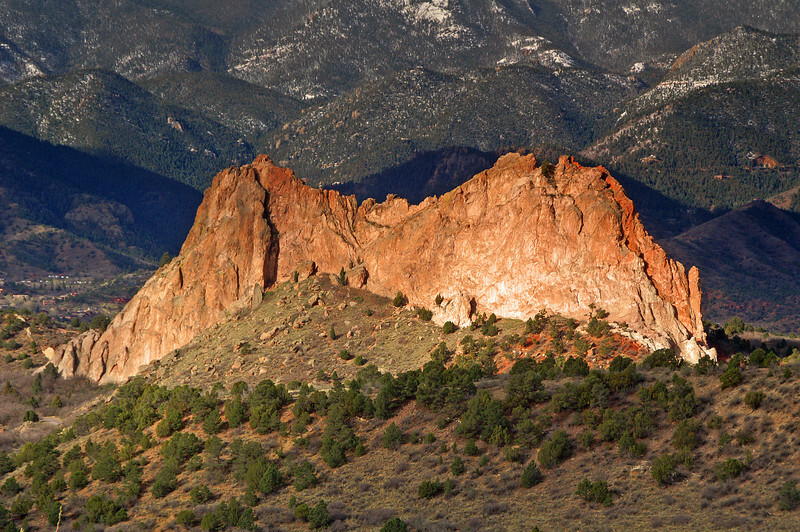 An early morning view of one of the unusual rock formations in Garden of the Gods Park. Behind is the start of the Colorado Rockies. Sharp eyed viewers will note the grade of the former Colorado Midland Railroad. 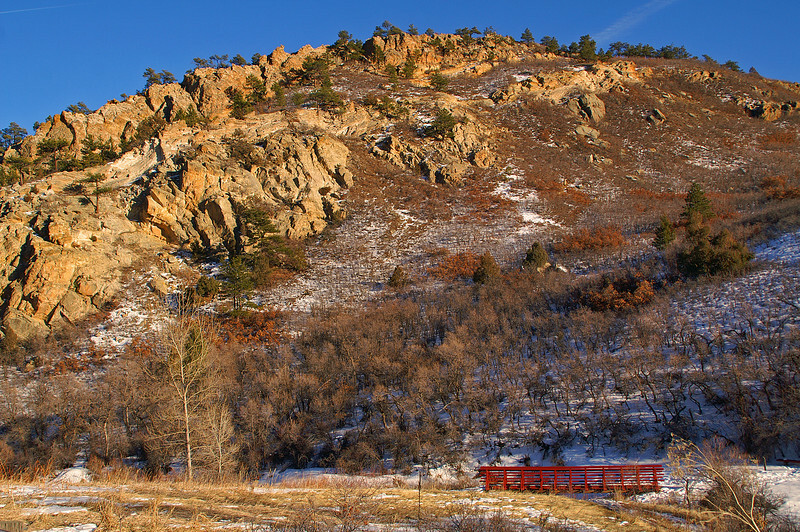 Roxborough State Park south of Denver is a fine place to spend a day of photography. 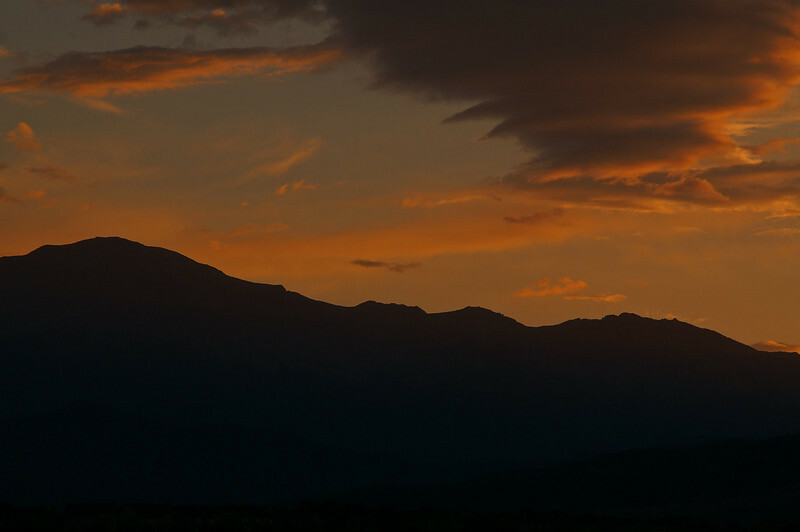 A nice silhouette of the Front Range, which includes Pike Peak, of the Colorado Rockies with the added bonus of a crazy cloud at sunset. 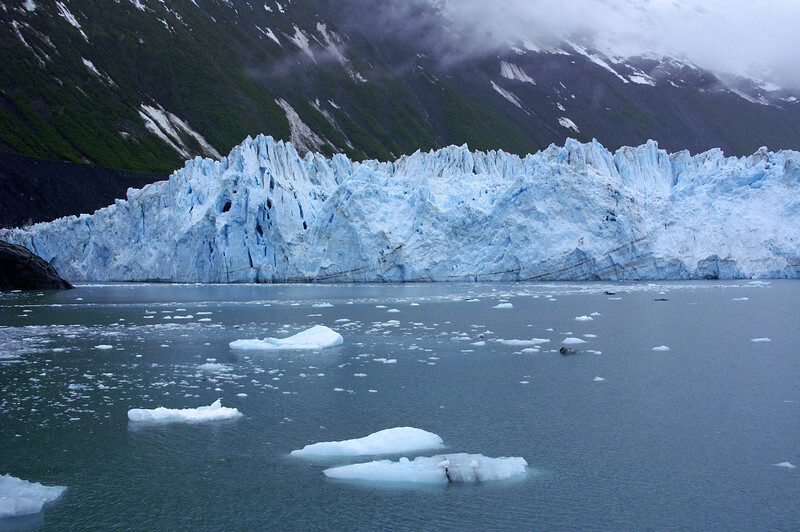 On a dreary day in Prince William Sound one of the many glaciers makes an appearance before my trusty Minolta. 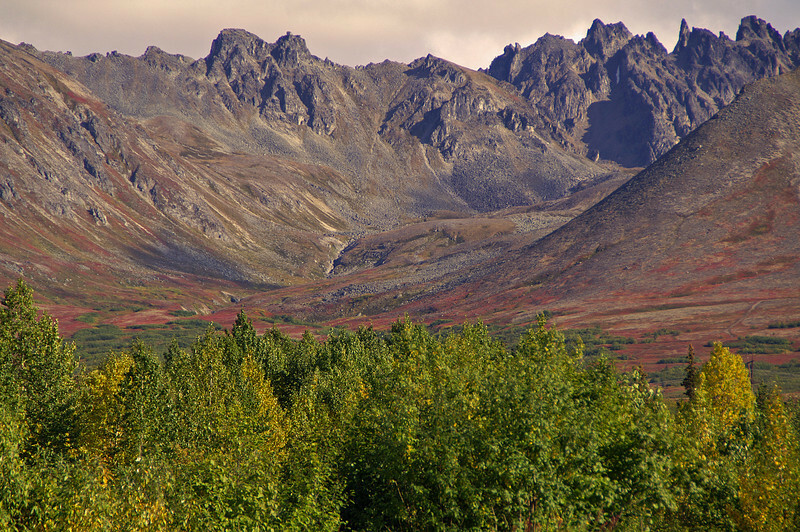 The small town of Hurricane, AK is surrounded by mountains in all directions. 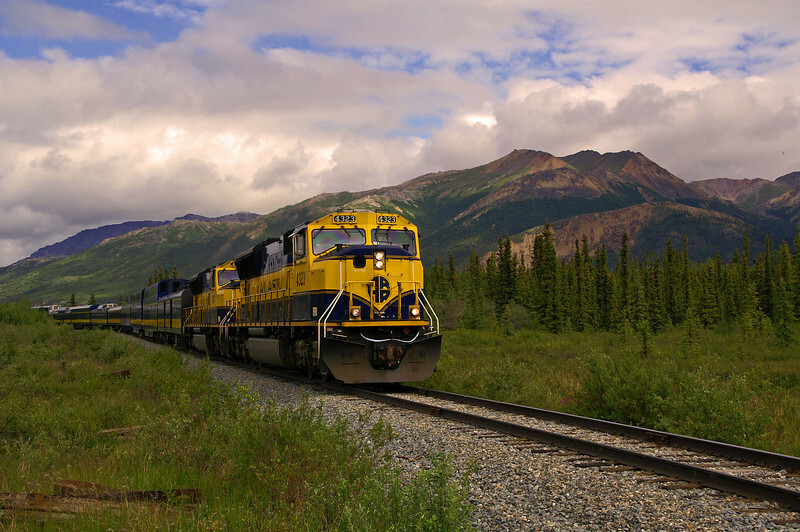 The pride of the Alaska Railroad passenger fleet the southbound Denali Star is just a few minutes from the station stop at Denali Park. While visiting California it was too hot, 122, to do out during the day so I went out a time or two at night. This golf course is right in the middle of the desert. 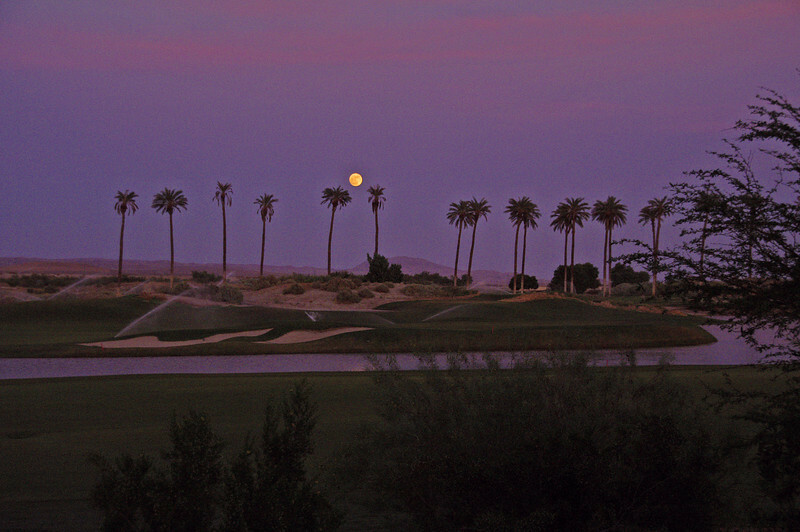 See here with the proverbial CA palm tree and a rising full moon.